Meet the Israel Pavilion – Shalom Square. Shalom from the Israel Pavilion! I remember visiting this pavilion when I was 8 years old, mesmerized by the dancers and music. Here I am, two decades later, still reacting the exact same way. ** This pavilion has not continuously run but was certainly present at the very first Folklorama in 1970! There are a lot of photo-ops at this pavilion. The cultural display, a photo booth with a camel, even the outside of the building with its block-letter ISRAEL are fun spots to stop and capture the moment. The Israel pavilion has an exception cultural display. Large boards line the walls with high-resolution pictures and information. 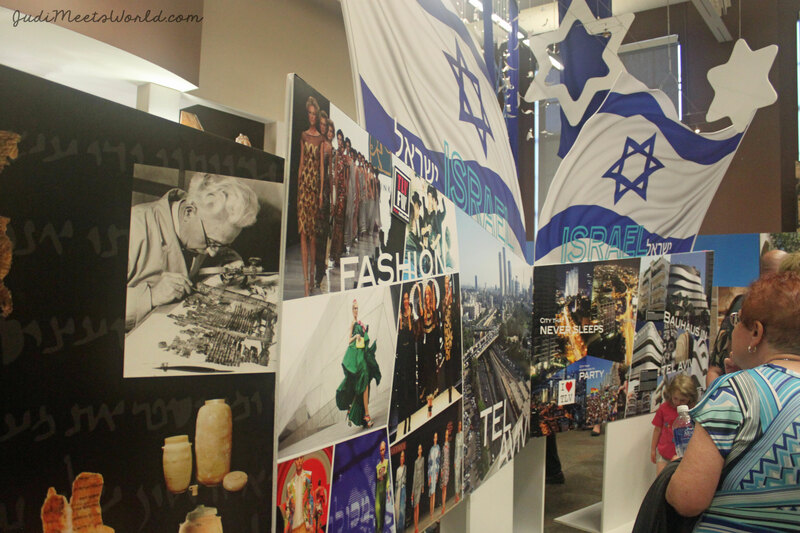 In the middle of the hall are additional large boards about different aspects of Israel. Economy and businesses, famous landmarks, history, culture and traditions, and other trivia. 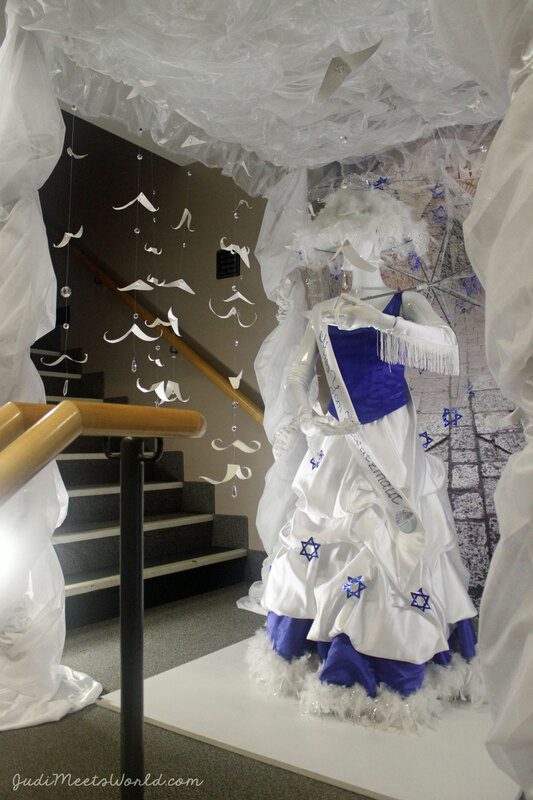 In addition to the information boards, there is also a mannequin in a blue-and-white gown under a chuppa, or traditional Jewish wedding canopy. The community centre has a long hallway between the cultural display and the entertainment area. To make sure there is no “dead space” as guests travel, sponsors and vendors line the hallway with souvenirs, trinkets and snacks for purchase while you wait in line. We definitely indulged in some kosher milk chocolate bars in a label I can’t read. They were delicious! In addition to my marketplace snack, we decided on a famous date squares and a parfait. The date square had the right mix of ingredients and held together nicely without being too crumbly. 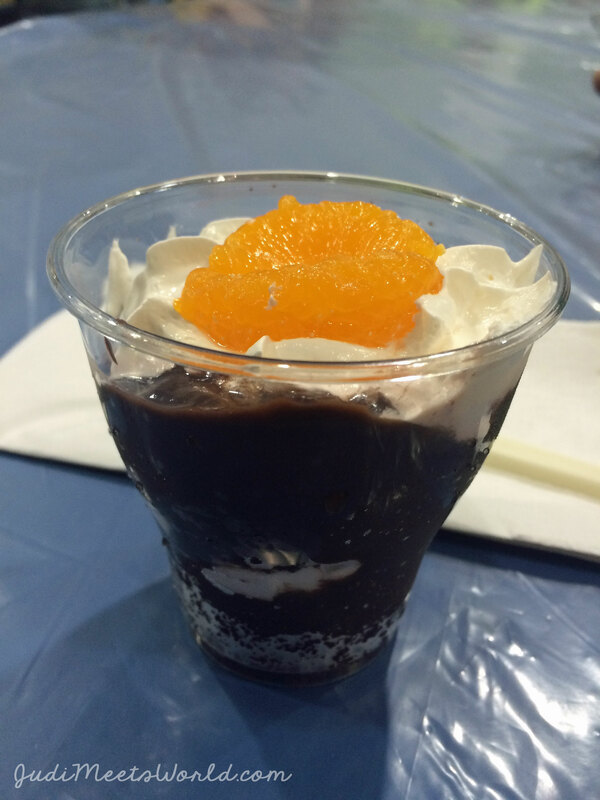 The parfait had layers of rich chocolate and was topped with a mandarin slice. The Sarah Sommer Chai Folk Ensemble performs with a live choir and orchestra, and despite all those factors, the show went seamlessly. I can only think of the amount of practice that it must take to put together such an incredible show three times per night. Behind the dancers, a slideshow projects information about each song number and dance performed. 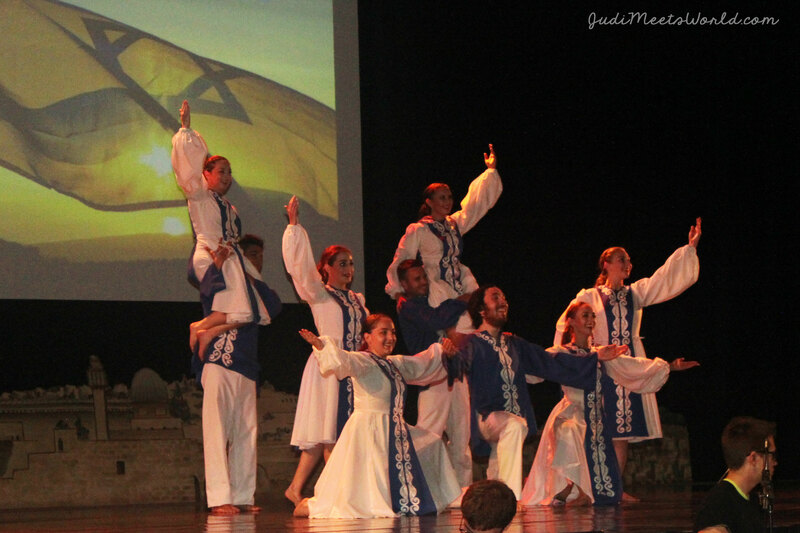 Audience members learn the translation or meaning of the song, and the story that is being interpreted by dance. The Sarah Sommer Chai Folk Ensemble will also be having a full-length concert in February with the Winnipeg Symphony Orchestra. This is your chance to see more of these incredible performances. Also available from the ensemble is a CD recording of their songs to purchase at the marketplace on your way out. As their pre-show segment, they run a video called “68 Facts You Probably Didn’t Know About Israel.” This is both entertaining (no space/time unused at this pavilion) and informative. I learned that Israel has the highest concentration of high-tech companies and startups outside of Silicon Valley – dubbing it the Startup Nation. 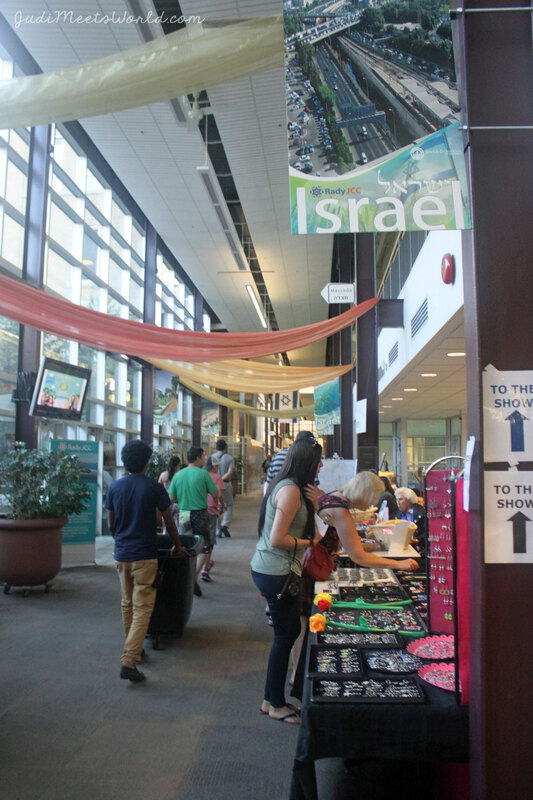 Congratulations to the Israel Pavilion – Shalom Square for another successful run! Can’t wait to hear more about the Winnipeg Symphony Orchestra concert with the Sarah Sommer Chai Folk Ensemble.